The Cornwall Estate lies in the countryside just outside the lively market town of St Austell. Our stellar location ensures guests get the best of both worlds as it is only two miles between the Estate and the town meaning visitors can switch environment with ease. The Estate boasts a unique collection of luxurious self-catered Woodland Lodges plus onsite spa. Each holiday home is equipped to a very high standard and each room has been furnished by an award-winning interior design team using textures and materials inspired by the Estate’s abundant flora and fauna bringing the charm and beauty of the Estate indoors. 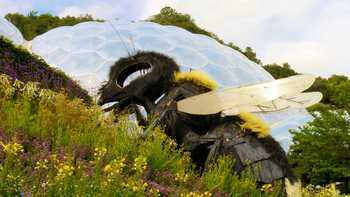 The Woodland Lodges are within easy reach of The Eden Project (5.0m) and The Lost Gardens of Heligan (5.2m). The surrounding area offers exquisite beaches and bays (nearest 3m), quaint villages and traditional local pubs. Onsite you’ll find a vast array of facilities and things to do including the pool, with steam room, sauna and loungers, the spa with relaxation room and nail bar, 2 tennis courts, a gym, an onsite restaurant and miles of parkland to explore. The infinity pool with full length glass surround featuring panoramic landscape views is the perfect place for a relaxing swim. Try the aroma steam room or the Scandinavian sauna and stand under the drench showers before heading to the juice bar for an invigorating healthy smoothie. Whether it’s a delicious breakfast, an evening dinner, a Sunday roast or an afternoon tea, the Elephant Brasserie has you covered. Serving a variety of different menus using locally sourced ingredients, the brasserie is a great restaurant for any occasion. The clearing spa offers an incredible array of beauty therapies and spa treatments. Get a simple manicure, try an Indian Head Massage or treat yourself to a full 100-minute massage session. Peruse the full spa menu here. 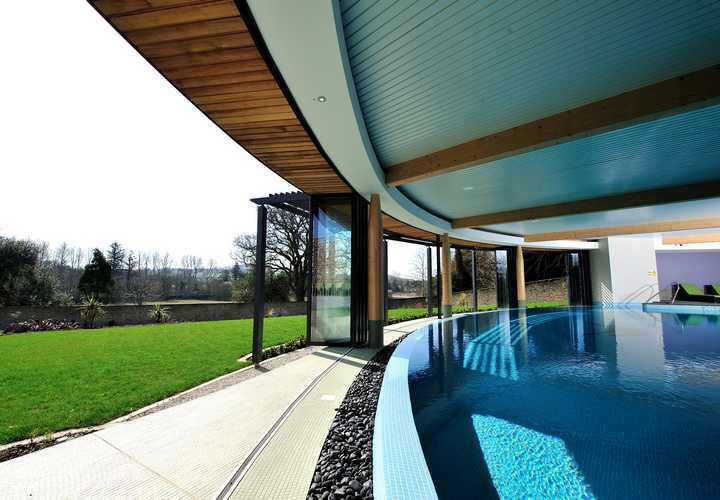 The Cornwall boasts 2 outdoor hard courts situated behind The Clearing Spa. Use of the courts is complimentary with racquets and balls available to hire from reception for £2 per set. Tennis coaching is available for both adults and children, starting at £25. The Cornwall boasts a fully equipped gym perfect for staying in shape whilst on holiday. Personal training sessions are available starting at £30 to help you get the most out the gym and the gym runs a variety of boot camp runs, aqua aerobics and Zumba classes to try out. The woodland lodges offer a first-class experience providing luxurious, spacious accommodation with large balconies overlooking the stunning parkland estate and an incredible array of excellent facilities. The great thing about this resort is that you needn't leave the site to have plenty of things to do and when you do, there are lots of fantastic attractions and places to explore nearby. 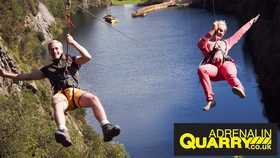 For some heart racing, hair raising thrills you can’t beat a visit to Adrenalin Quarry. Defy gravity on the giant swing as you plummet in freefall off a cliff before swinging skywards or perhaps travel a mere 40mph along a zip wire 50m from the ground. Try the big Wipeout-style aqua obstacle course on the Retallack Resort. 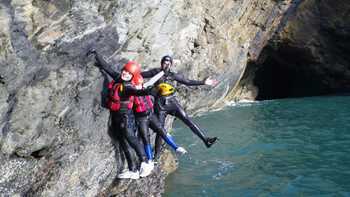 Sessions cost £15 per person and include your wetsuit and buoyancy aids. The course can take up to 100 people so remember to bring all your friends and family! Visit Charlestown and experience an incredible snapshot of the past at the unspoiled Georgian working port. Due to its old world look and feel Charlestown has been a popular location for TV and film crews, you may recognise it from episodes of Poldark, Mansfield Park and more. Head to Porfell Wildlife Park and visit monkeys, meerkats and all other kinds of exotic creatures. 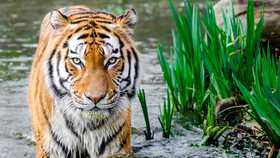 Porfell wildlife park offers the opportunity to get up close to incredible animals, to feed and touch them and learn about the natural world. Head into St Austell for high street chains like Prezzo and Frankie & Benny’s or try Charlestown harbour where you’ll find Charlie's Boathouse, a cosy restaurant serving a rustic menu or the Longstore, serving delicious steaks. 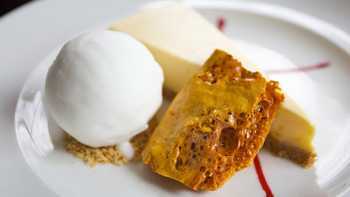 If you don’t fancy going out try the onsite restaurant, The Elephant Brasserie. 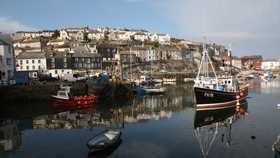 There are loads of fantastic attractions to experience during your holiday in Cornwall. The Eden Project, The Lost Gardens of Heligan, The St Austell Brewery, The China Clay Trails are just some of the incredible choices available to you. If you find time to venture beyond the numerous activities available onsite why not head to the beach for surfing or stand-up paddle boarding, there are plenty of beautiful coastal walks or alternatively explore inland along the Pentewan Trail. Fed up of the sand kickers, the crazy children and people in general? Let us help you find your own piece of paradise with our guide to finding the quietest beaches in Cornwall. If you're looking for someplace special to spend Valentine's Day, an anniversary, or just a couples' break away from it all, here are some of the UK's most enchanting romantic spots. There's no need to dread a grey day in Cornwall - there are plenty of indoor attractions to keep you busy. Take a look at our guide to the best, so you can enjoy your break whatever the weather.